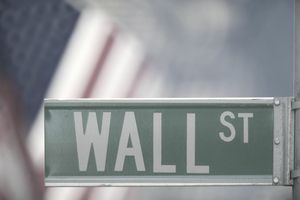 Many of the largest retailers in the United States are publicly traded, with their shares sold through the New York Stock Exchange or NASDAQ. In addition to those major retail businesses, numerous smaller retailers' shares are traded over-the-counter. Taking a look at how such retail stocks perform can offer a sense of the way the overall economy is shaping up in relation to consumer confidence. Each segment of retail—which includes apparel makers, the auto industry, department stores, restaurants, and e-commerce—has a distinct set of factors that can affect companies' stock performance. Consumer response to new lines of fashion and season-specific demand for clothing tailor the financial prospects of the apparel industry. A rise in gas prices can sway consumers to purchase autos that are smaller and fuel-efficient rather than luxury or sports cars. Patronage of restaurants tends to decline in slow economic periods as consumers reduce personal expenses and dine at home instead. Retailers that were once regarded as stable fixtures in the market have been upended in many ways by consumers' changing their shopping habits. This stems in part from the development and growth of e-commerce, which eliminates many of the overhead costs of maintaining physical stores and typically leads to highly competitive prices. The shifting dynamics of retail has meant some brands that lasted for generations have been liquidated, including supermarket chain the Great Atlantic & Pacific Tea Co.
(A&P) in 2015 and toy seller Toys "R" Us in 2018. The specialty retailers segment of this list previously included companies such as Borders Group, which went out of business in 2011 as e-tailer Amazon continued its rise to prominence. E-commerce continues to drive drastic change across retail, including Amazon's acquisition in 2017 of supermarket chain Whole Foods. The issues that affect the publicly traded companies listed below in the U.S. retail industry, which was current as of September 2018, can offer some sense of what direction the economy is taking.